Oriz, the invaluable jewellery boutique is enriched with its inestimable ornament collections carved out of authentic gold and diamonds. Apart from the wide range of jewellery in antique, traditional and contemporary designs, Oriz is extremely proficient in transforming your design needs and ideas into beautiful pieces of art and is thus adept in realising marvellous custom-made designs. 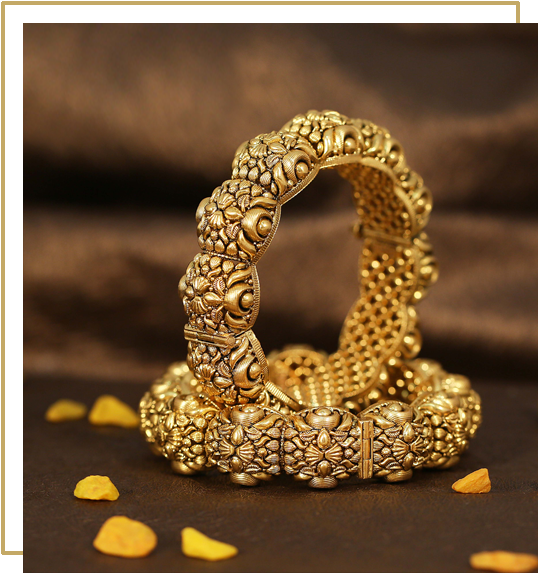 Our priceless jewels will help suit anyone for any occasion and these stupendously beautiful jewels will indeed make anyone look absolutely ravishing!